Mo Koshji Storia. 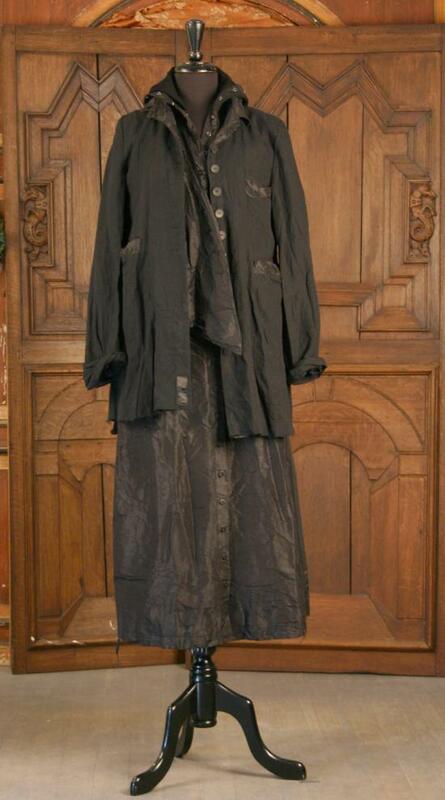 Jacket — We all died over this linen and silk jacket by MoKoshji. There's so much going on in this fantastic piece, it's hard to know where to begin. 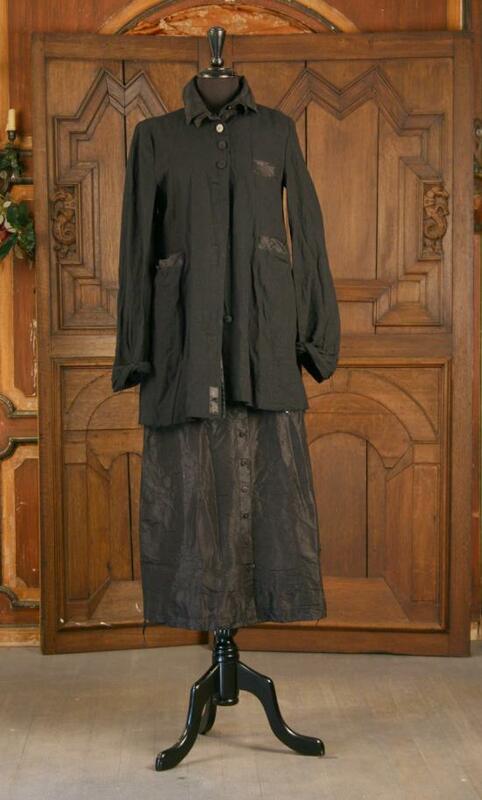 Inside the jacket is an attached silk vest, reminiscent of Edwardian jackets..it looks great buttoned or open. 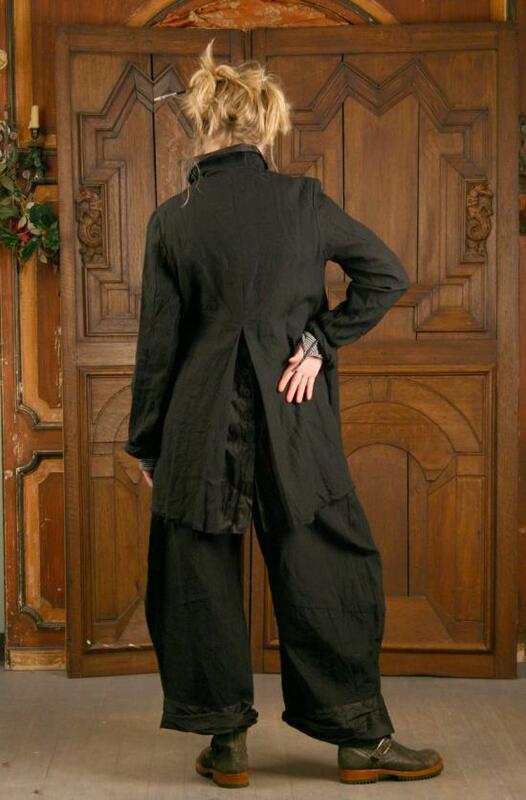 Three pockets, lined in silk, buttons up the back tails that can be worn open or closed...extra long sleeves to roll up, or not...Mo Koshji ribbon trim inside and out. 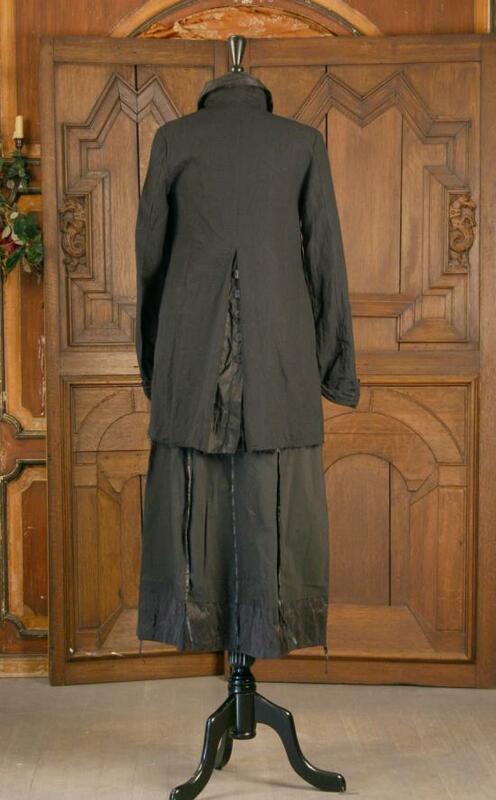 There are so many ways to wear this amazing garment, we\'ll just let the picture do the talking. One generous size Medium.